For those of us who try to devour all of the latest Law of Attraction information, techniques and advice, the discovery of regularly published magazines in this genre was definitely a delightful discovery! I've tried to provide a range here for you including online, print, portable devices. I like to think there's something for everyone in this mix. So browse through the list and see what strikes your fancy. The title of this publication says it all. There are a number of great articles that you can read for free on the website. I couldn't find an 'About' page to learn more about the publishers but in the sidebar, they advertise that the magazine is now available at newstands. If you happen to find one, there'll be a masthead inside to provide that type of information. This is also available from Barnes and Noble as a Nook Book. Posted categories include: features; happy; healthy; wealthy. While browsing the site, I noticed a success story, too. 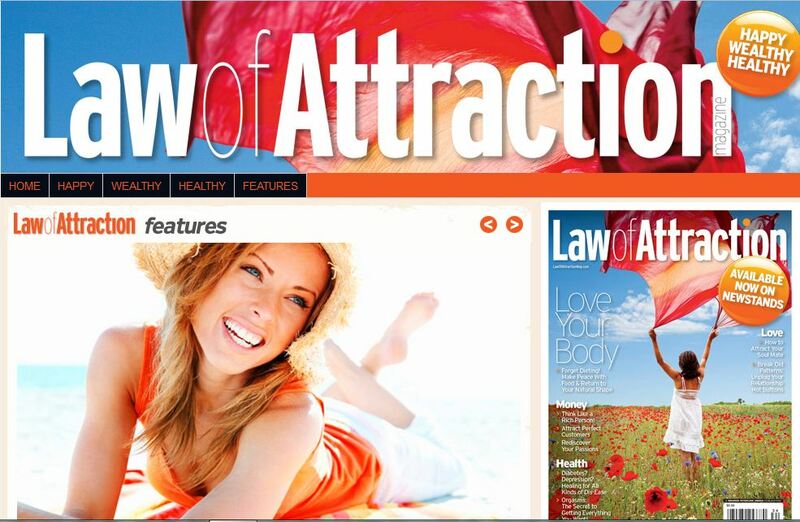 I'll be returning to Law of Attraction Magazine to read more of the great content! You can take the same magazine above with you wherever you go on your Android device. 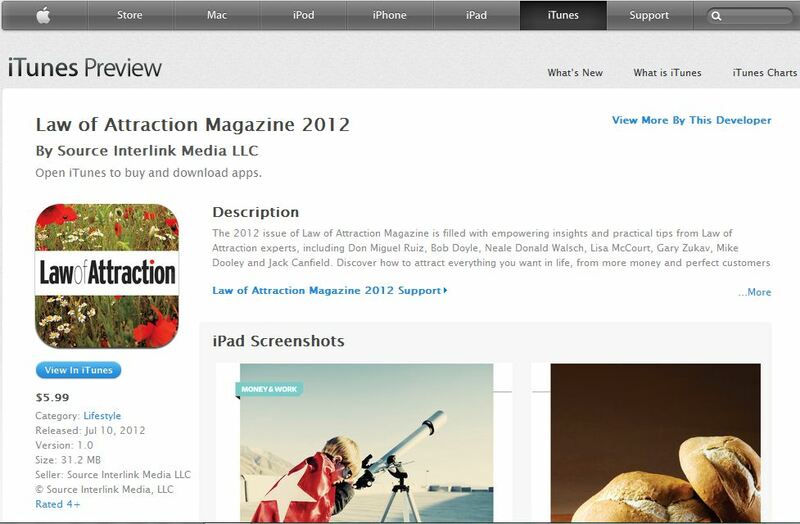 Simply go to the magazine's Google Play page to download to your phone or tablet. 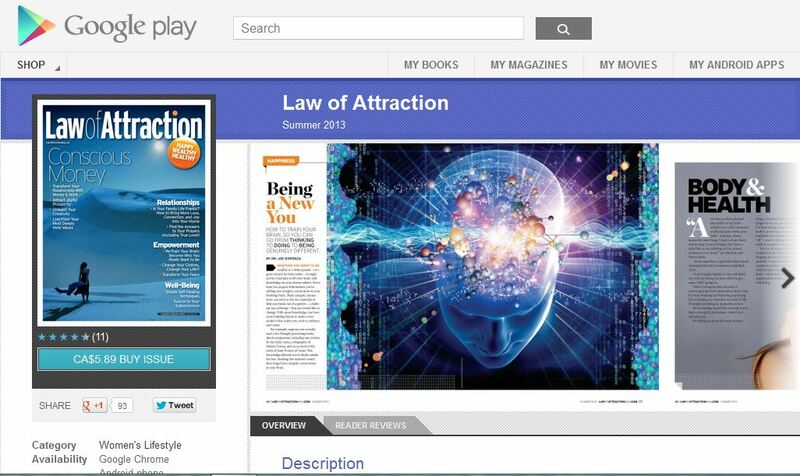 If your mobile device happens to be an iPad, you can still get the Law of Attraction magazine 2012 from the publication's iTune page. Yes, it's 2012 but that fact does not diminish the quality of the app's offering. This is also a good way to catch up on the site's previous articles. 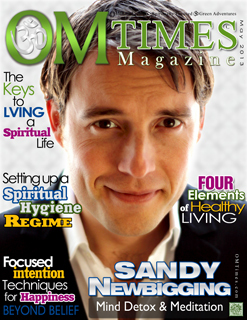 OM Times is home to the 30 Day Conscious Living Challenge and offers guidance to leading a healthy, spiritual life. This includes techniques to help you become a more effective manifestor. "OM Times is a FREE Holistic, Green eZine for the Conscious Community"
When you go to the main website, at omtimes.com, you can access issues from 2009, right up to the current issue. If you have the time to devote to it, this is a veritable wealth of information and well worth the reading. The topics in this publication are varied and have unique slants. This is some really interesting reading. If you want to keep update, you can subscribe to OMTimes by filling in their form. 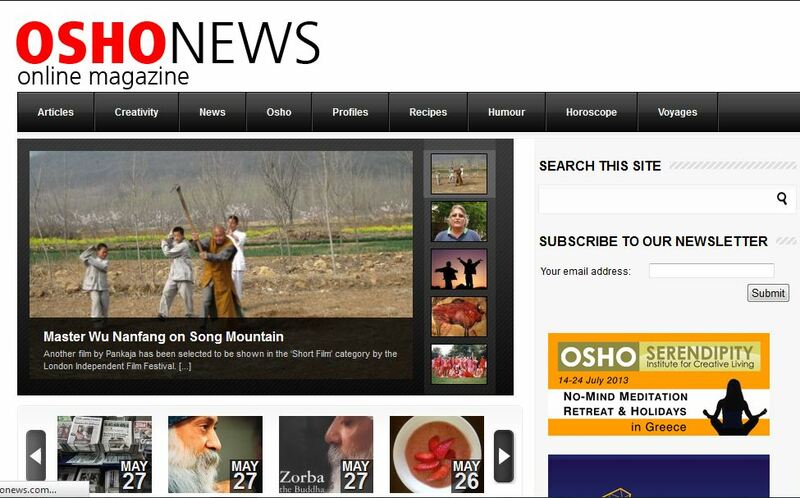 You can subscribe to the OshoNewsletter or return to the site to read all of the posted articles. There is no cost. OfSpirit.com calls itself a magazine but I think of it more as a tremendous archive, or a resource tool. The site contains more than 3,000 pages of articles! Topics here are devoted to holistic, spiritual and self-improvement. Some of the categories haven't updated in a year but if you can't find what you're looking for in this massive offering, I'd be very surprised. Well, there you have it. 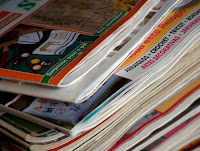 A short list of Law of Attraction magazines for you to enjoy, all for free even. Hard to beat that. I hope you'll use this wellspring of information to learn more about the topics you're interested in. 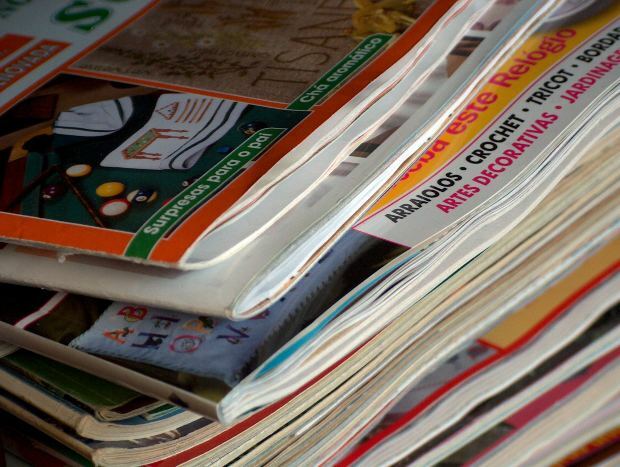 In that way, these publications become yet another helpful resource in your LOA toolbox. Know of someone who would enjoy these sites?